Minnie was born July 28, 1947 in Wendell, Idaho to Alfred P. and Lily Fry Kingsland. Minnie has four beloved siblings that she got to share a lifetime of memories and adventures with; William, Velma, Doc and Lois. In 1954 when Minnie was 7, Lily told her about a sick girl who had moved right around the corner. She couldn’t play outside because of her illness which prompted the compassionate Minnie to color and read books with her until she was well again. Minnie and Judy were adventurists, exploring everything from spud cellars to farmlands. They were sisters, joined at the hip every day until Minnie moved to California at the age of 16. In 1963, Minnie said goodbye to Idaho and boarded a bus destined for Southern California. With the Kentucky Derby playing in her ears, she made the journey to live with her beloved brother, Bill to help raise her niece, Connie. The Kentucky Derby became almost a ritual between Minnie and her treasured, Connie. So much so that when the Kentucky Derby would roll around, they would phone each other, and Minnie would remind Connie that was the weekend she had started to care for her. Minnie was a rock for Connie, teaching and molding Connie with lessons of strength, unconditional love, honesty, and grace. Lessons that she would eventually pass down to her children and grandchildren. In 1964, her love story began with a man with dark locks and twinkling blue eyes. Her one true love whom she was eternally devoted, Carl Benton Risbeck. Carl and Minnie had a love that was rare and beautiful, a love that many wished to find. They were committed to each other, supporting and loving each other through all of their trials and hardships. On January 16, 1965, Minnie wed the man who swept her off her feet and by November 1st, they welcomed their beautiful daughter, Karla, Minnie’s best friend. On January 15, 1968, Minnie gave birth to her second child and beloved first son, Carl William. From there, Minnie and Carl thought that their little family was complete until 1977 when Minnie’s most treasured surprise was born, Andrew David. Minnie adored and devoted herself completely to her children. She was a very attentive and involved mother, participating in parent groups, becoming a room mother, and joining the PTA. In the early 80’s, Minnie began her culinary career that evolved into a passion that she pursued throughout her years. During those California days, Minnie started new lifelong adventures and friendships with her best friends, Sharon Fraker, Debbie Blanchard, and Betty Moore. Though Minnie’s life took her to several different places, her friendships never wavered. Minnie cherished each and every one of her friends, finding joy and unconditional love in the memories and bonds she created with all her wonderful friends. Minnie often could be found by the ocean waters, barefoot in the sand with her children by her side. Minnie loved the beach but was not particularly keen on the sand getting in her car. n 1984, Carl’s job transferred them from the sunny skies of California to the beautiful and snowy Utah. There, Minnie rediscovered her relationship with Christ in a little church in Midvale and began to build a new foundation with Him. Minnie was a devout Christian who loved God with every fiber of her being. Minnie had a special relationship with her savior and was loyal and devoted to Him. In Salt Lake City, Minnie developed lifelong friendships with her church friends and was continuing to pursue her culinary career. By the late 80’s, Minnie was attending Salt Lake Community College, continuing to be a loving and attentive mother. By 1991, Carl was transferred to Missouri for his career and by February of 1994, her first grandchild and sunshine, Nikki, was born. That same year, Minnie and Carl moved back to Jerome so that Minnie could be with her parents and siblings. Carl and Minnie then started a small consulting firm, C.M.R. Tech, while Minnie continued her career working as a production manager for College of Southern Idaho. In 1998, Minnie and Carl welcomed a new son that would expand their family when Karla married Sonny Gerland, whom Minnie had a special and goofy relationship. They frequently could be heard teasing and laughing with each other. By April of 1998, the ecstatic Minnie and Carl welcomed their second granddaughter, Heather. Minnie’s heart was overjoyed by having two grandchildren. With one of her passions being shopping, Minnie loved buying her granddaughters too many pairs of white ruffled socks and matching outfits for her Nikki and Heather. By July of 2001 again Minnie and Carl were welcoming the birth of their third granddaughter, their Sally Sue, Kierynn. Through this time, Minnie worked for 14 years at Heritage Woodstone, making many friendships as the kind and compassionate Minnie tended to do. Minnie found her lifelong prayer partner, Julie, during her 14 years at Heritage Woodstone. In 2002, Minnie and Carl were excited to welcome the beautiful and kind-hearted Regan into their family when Andy married the love of his life. By 2005, Minnie and Carl finally welcomed their first grandson, Wyatt. She felt such great excitement, pride, and love over the birth of her precious Wyatt. In 2010, Minnie was gifted with another treasured grandson, Zackary. 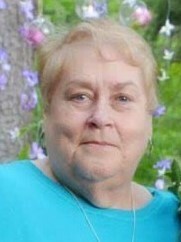 Together, she and her grandsons would frequently have nerf gun wars that always ended in laughter and cherished memories and stories. Minnie’s heart was always so full when she was around all her children and grandchildren, loving when the entire family was gathered around in the living room reminiscing of past days while she sipped her coffee and smiled. In June of 2009, Minnie said “see you later” to her beloved, Carl, as he was reunited with his savior. In 2015 Minnie was excited and blessed beyond measure when her son, Carl “Scooter” met and married an incredible and kind woman of great substance, Cindy. Cindy brought with her three children, Ashley, Jamie and Adam. Expanding Minnie’s ever-growing circle of grandchildren. Minnie relished the fact that overnight she was able to expand her circle even larger. Minnie had beautiful connections with many people in her life, especially her sisters-in-law, Mary and Louise. Through thick and thin, laughs, and too many cups of coffee, Minnie developed a rare friendship with Mary and Louise. They were more than her brother’s wives; they were her deeply cherished friends. By 2016, Minnie’s pregnant granddaughter, Nikki, was living with her. Minnie took Nikki to every single doctor’s appointment and beamed and smiled brightly at every ultrasound. Minnie was there every step of the way and in May of 2016, Minnie welcomed her first great-grandson, Kai. Minnie and her sister Lois spent many days together shopping, gossiping, and drinking coffee. They were not only sisters but best friends. Shortly after the birth, Minnie bid farewell to her family and started her own retirement adventure that she had wanted to do with the love of her life: Yellowstone. Minnie worked in Yellowstone for two summers and created wonderful memories and new friendships. Minnie, one day, saw a black bear outside her window and while frightened was in awe of the beauty and majesty of it. Minnie immediately contacted her children to let them know of her discoveries and adventures. She loved exploring the beauty of Yellowstone on her days off and visited with her nephew, Eddie, as well. By 2017, Minnie again was welcoming another beautiful baby into the family. Her first great granddaughter, Araiyah, was born May of 2017. Minnie visited the new baby shortly after the birth and was absolutely in love with her. She again had a tiny girl to cherish that when she smiled was a ray of sunshine. The last tiny baby boy to be born before her passing was James. Holding this infant in her arms brought her joy beyond measure just weeks before she left this world. Minnie loved without reservation, she was kind and compassionate. The type of person whose home was always inviting and warm, her arms were always open and her shoulder available if a cry was needed. Minnie was a safe space, a sanctuary, for many. She had a strength that was unimaginable, a strength that she gifted her children and grandchildren. Minnie would take any child into her home, fix them dinner, wash their clothes, and give them toys to play with. Minnie was the center of our family, the glue of us. She wove the thread to create the tapestry of our family. Minnie loved deeply and could generate a smile to even the saddest soul with her humorous nature. She was a storyteller, capturing the attention of everyone around her when she spoke. She was an advisor, courageous, and loved fiercely. She was a teacher, using her love as guidance for her children and grandchildren. Minnie was Granny. Minnie was so many wonderful things to everyone around her. Minnie is now at peace, dancing with the love of her life in heaven. Rejoicing at the sight of Christ. Minnie is hugging her parents, kissing their cheeks and celebrating her arrival. Though there may be sorrow in our hearts, she is in her eternal happiness. Proverbs 31:10 describes our momma and we are sure it was written about her. 10 A good woman is hard to find, and worth far more than diamonds. Minnie is survived children, Karla Risbeck-Hardin (Gerland) of Jerome; Carl W. Risbeck (Cindy) of Lehi, Utah; and Andrew D. Risbeck (Reagan) of Layton, Utah; stepchildren, Pamela Belvins, Robert Risbeck (Michelle) and Deborah Briggs; grandchildren, Nicole, Heather, Kierynn, Wyatt, Zach, Ashley, Adam, and Jamie; great grandchildren, Kai, Rai, and James; brother, William Kingsland of Jerome, Idaho; Alfred Kingsland (Louise) of Jerome, Idaho; and sisters, Velma Parker of Jerome, Idaho; and Lois Winder of Jerome, Idaho. Minnie’s life will be celebrated at 1 p.m. Saturday April 13, 2019 at Calvary Chapel of Jerome, 900 N. Lincoln Ave Jerome, Idaho with Pastor Vernon Bishop and Alfred Kingsland officiating. Burial will follow at the Jerome cemetery of both she and her husband. An open house remembering her life will follow at her home, 500 West Ave C Jerome, Idaho.